Fans of Klaus and Cami finally got the moment we'd been waiting for on The Originals Season 3 Episode 9. The hybrid kissed the girl and then the girl ended up with her throat sliced open and bleeding all over his bed. We won't find out what happened until the series returns in 2016, so it's time to break down the happenings of The Originals winter finale! Jump into the comments below with your thoughts! What was your favorite quote or scene from "Savior"? Matt: Jackson's speech to Hayley about how he respects the Mikaelsons, even if he doesn't like them. The in-law comparison was apt, too. You may not love all of your wife's family members, but that doesn't mean they aren't still family. Paul: My favorite scene was the fight between Rebekah and Hayley. It was excellent to see these two friends go at it. Amanda: For a high energy scene, I'll agree with Paul's answer. For a low key scene, I have to go with Klaus and Cami's first kiss. It was a perfectly sweet moment. Miranda: I'm a total Klamille fan, so every scene between them was full of win for me. Even the final, heartbreaking, devastating one. Matt: She better actually be dead. Not because I don't adore Leah Pipes and Cami, but because her throat was frickin slashed. It would be a lame cop-out to tease fans with her obvious death and then magically bring her back. Paul: I think she's dead, but still a part of the show. Wouldn't she love to be a vampire? Amanda: The writers giveth and then they taketh away! I really hope she isn't dead, and that she'll turn or something. Also, I wondered at first how Klaus didn't hear someone coming in and murder her, but then I thought that Cami had a strange look in her eyes when she was watching Klaus sleep. It's entirely possible Aurora compelled Cami to kill herself once she and Klaus finally admitted their feelings or kissed. Miranda: AHHH!!! That's pretty much the only thing I can think, even now, a week after the episode aired. Better moment: Jackson helping the Mikaelsons or Klaus helping Detective Kinney? 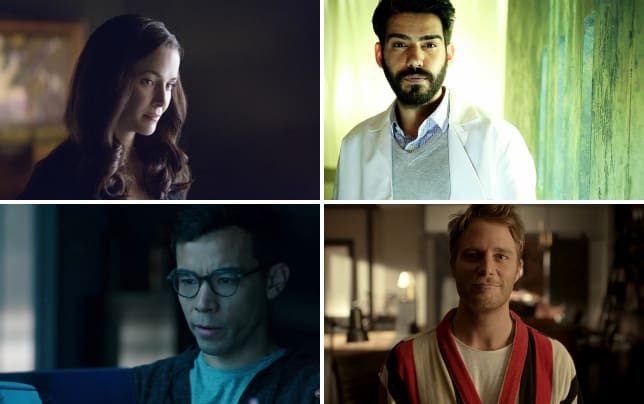 Matt: Jackson and the Mikaelsons. See my reasoning above. Paul: Jackson helping the Mikaelsons. This was the last thing I'd have ever expected to happen, but I'm glad that it did. Amanda: Jackson helping the Mikaelsons. We haven't had much time with Detective Kinney. It's a real shame that Jason Dohring is being so underutilized on the show. Miranda: Jackson helped the Mikaelsons because he was helping Freya, and even if he hates them, at his core he's still a good guy. Klaus helped Kinney because of his feelings for Cami, because seeing her happy makes him happy, so my points go to Klaus. Will Vincent manage to keep himself from working with the Strix? Matt: I'm sorry... what? I fell asleep when I read the word "Strix." Paul: I'm with Matt. This whole Strix nonsense is beyond boring. Amanda: Vincent is a strong character, so I see him resisting. Still, I agree with the guys. This Strix story line is just not interesting. Miranda: I really love Vincent, mostly because Yusuf Gatewood brings him to life, so I'm hopeful Tristan won't be able to coerce him into becoming their witch. Matt: Got me. Hanging out off screen with Matt and Enzo on The Vampire Diaries? Paul: I really could care less about Davina, I have no idea why she hasn't been killed off screen yet. Amanda: Don't know. Don't care. Miranda: No, but for real, guys. Where is Davina? Matt: D. It focused nearly entirely on Rebekah, bringing her back just to make her randomly go crazy and then taking her away again, only to end with a death that was shocking, but seemingly impossible. How, exactly, did someone sneak in and kill Cami while she slept in Klaus' arms? Paul: B+. I thoroughly enjoyed it, but the whole Rebekah popping up is pretty darn annoying. She's constantly on the move. Amanda: B. I'm getting annoyed with Rebekah showing up randomly, but I still love her presence. I just wish she was around more. I was shocked by the ending, but at least we saw Klaus happy for ten minutes. Matt, see my theory above for why Klaus didn't wake up when Cami was killed! Miranda: I'm totally giving it an A-. I hated the back and forth with Rebekah and now she's daggered again, but I loved the episode. And Klaus and Cami. It was a great set-up for the second half of the season. The Originals Season 3 Episode 10 will air on FRIDAY, January 29, 2016. 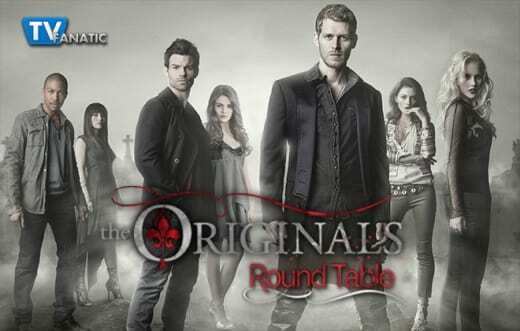 You can watch The Originals online right here to relive all your favorite moments from the first half of the season! 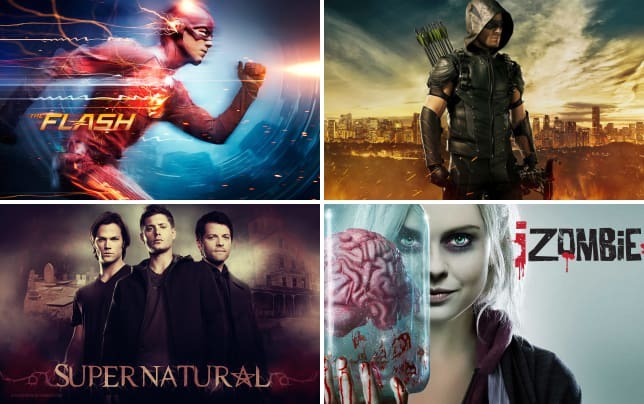 The CW at Midseason: What Will Get Renewed?